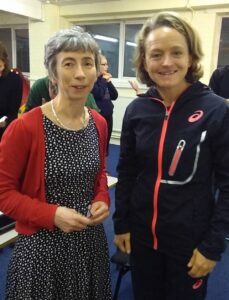 In March I was fortunate to have the chance to meet Mara Yamauchi, the UK’s second-fastest marathon runner, when she came to Nottingham to talk to England Athletics Run Leaders about coaching and training. Mara Yamauchi was inspired to run by watching the Los Angeles Olympics in 1984, and decided aged 11 that she would be an Olympian. 1984 was the first Olympics to feature the women’s marathon race. It took Mara many years to realise her dream. She did not become a full-time athlete until 2006, at the age of 33. She told us that as she approached 30, she realised that if she wanted to make it to the Olympics “it’s now or never“. She went on to run the marathon in both the Beijing Olympics in 2008 and the London Olympics in 2012. 2009 also saw Mara Yamauchi win the Marugame Half Marathon in Japan in personal best time of 68:29. Her marathon time and half marathon time from that year still stand as the British Masters v35 records, eight years later. Mara Yamauchi retired from athletics in 2013, and subsequently took British athletics coaching qualifications. 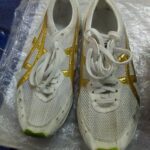 She also gained the Leadership in Running Fitness qualification, but decided to widen her focus to athletics coaching so that she could coach track and elite athletes. When she came to Nottingham in March, Mara was talking to a group of Run Leaders. Most of us were from running clubs, and working with a diverse range of runners from beginners through to experienced club runners. She gave us a thorough insight into what we should consider when coaching and training runners. This was underpinned by her own experience as an elite athlete and also by what she has learned since becoming a coach. She describes coaching as a lifelong journey. It was something of a relief to find that there is no magic formula when it comes to training. The approaches that Mara recommended were in line with what I have learned elsewhere. We imagine that elite runners all have perfect biomechanics, and that is part of their succcess, but it may not be the case. For any runner it is easy to feel frustrated if you think that your body is letting you down, when you get injured or develop problems. For me there was something refreshing about hearing Mara say that she was stronger on one side of her body, as this was something I’ve been told. The importance of strength and conditioning: Mara encourages all the runners she works with to do strength and conditioning work from the outset. It is also the most important aspect of fitness for older people. Elite runners may have access to lots of advice, but in the end they still have to make their own decisions about how to handle injuries. Mara told us how she developed an intractable hamstring injury when she was hoping to qualifying for the marathon in the London Olympics. In 2011 she was told that she would need surgery. Realising that this would mean several more months out of competition, she sought a second opinion. She decided to follow the advice she was given to build the strength of her gluteal muscles. This was successful and she went on to qualify later that year. It’s difficult to manage training when you are working. Mara recommended focusing on doing training properly, but not skimping on sleep and rest as these are essential for recovery. Getting support from people around you is important too, and setting your boundaries so that you can preserve time for training. Your training is personal to you. Mara said that when she was marathon training, she thought at first that she had to train like Paula Radcliffe, who frequently ran 145 miles a week in training. But she soon realised that she couldn’t train in the same way as she tended to get injured if she went over 100 miles a week. There will always be times when something has gone wrong before a race. That’s not a reason to give up, as you may surprise yourself with your performance. Mara also said that “being behind the curve with a goal that is near can work“. This particularly resonated with me as my training for the London Marathon has been far from perfect. Nutrition – Mara recommended including a variety of types of food in one meal, and varying your diet, e.g. by having different breakfasts every day. Focus on food first, rather than supplements. I don’t think she recommends following Tirunesh Dibaba’s example. Mara saw her have a plate of chips, and nothing else, for breakfast before a race. Dibaba won the race. Focus on the process and the performance goals will look after themselves. By thinking about each training session you can stop yourself worrying about the race. Mara gave Jessica Ennis as an example of an athlete who is really disciplined about the process of training. For older runners, this could mean setting yourself a process goal, such as running three times a week, rather than a performance goal. Older runners may run fewer miles in a week, but can focus on maximising the quality of their training sessions. 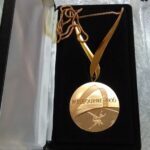 What I wish I’d known – Mara said she wished she had been more open to other sources of knowledge when she was training as an elite athlete. Endurance runners can learn a lot from track and field athletics about building power. She had learnt a lot from training with world-renowned, American athletics coach Dan Pfaff, who has coached athletes across several disciplines to success, using his expert knowledge of power and the mechanics of the body. As you age you have to find goals which are motivating. We asked Mara what she was planning to do next and she told us she’s taking part in her first trail race this summer, the Cortina Skyrace in the Dolomites in Italy, a 20km race with over 1,000 metres of ascent. Good luck Mara! British Masters Athletics Federation, UK Age Group Road Best Performances, updated October 2016. Read more about pioneering marathon runner Joyce Smith, whose v45 UK age category records have stood for over 30 years.